IT Support: Exchange or Office 365 ? Home / Blog / IT Support: Exchange or Office 365 ? IT support and infrastructure management can be very complex and requires different levels of oversight. In today’s agile world, organizations are looking into ways on how to increase productivity through highly available IT infrastructure, while reducing costs. One of the most critical applications for organizations currently is email and communication. 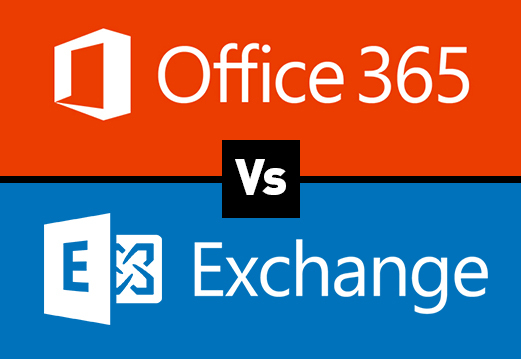 We occasionally get asked by customers which email solution is right for them – Exchange or Office 365? Traditional email solution has been on-premise exchange but there is a growing trend and demand for Office 365 and organizations are moving to it, fast! In this article, we plan on listing pros and cons for both of these solutions. Both of the solutions above have their share of Pros and Cons. We can help you choose the solution that fits best for your environment. At AMS Networks we help build IT systems to increase productivity so you can get back to your business. With our Managed IT support services, you can rest assure that you are in good hands. We proactively monitor your systems around the clock to make sure that they are available. AMS Networks can also help you migrate your workload to our state-of-the-art cloud where you’ll get 99.999% of guaranteed uptime!. We are a one-stop shop for all of your IT needs. Talk to us about logo, brochure and website design. If you are a company located in Virginia, Maryland or in Washington, DC contact us today to learn how we can help provide the top notch IT service. Contact us today by calling 703-662-5800 or by filling out our contact us form to receive a free on-site consultation.